Susan Everett led the preliminary design development for the Alaskan Way Viaduct replacement project. 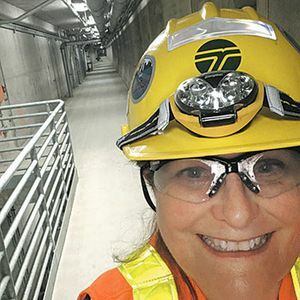 Meet Susan Everett, who is a project engineer for the Washington State Department of Transportation. What do you do? 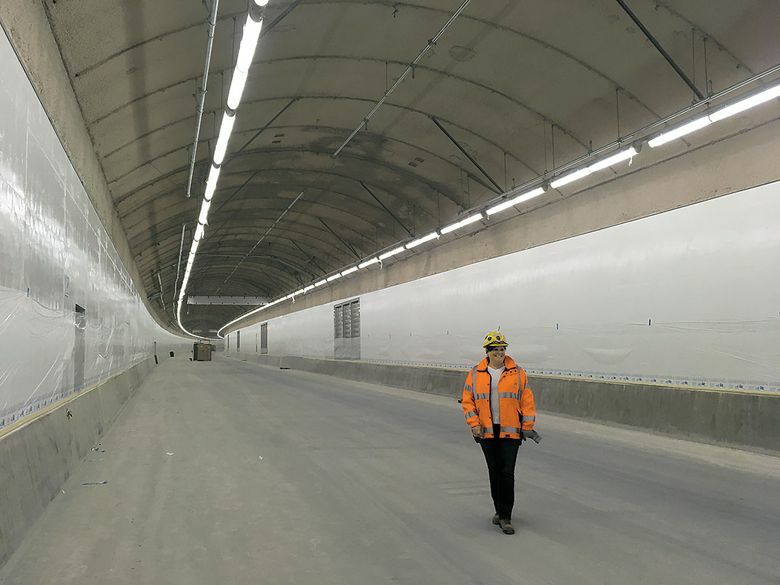 As Alaskan Way Viaduct Replacement Program design manager, I led preliminary design development for the Highway 99 tunnel, ensuring the designs met industry standards and contract requirements. Toward the end of the [tunnel project], I led the team responsible for testing all the operational and safety systems inside the tunnel, making sure all the systems complied with contract specifications, helping troubleshoot and solve problems and ultimately signing off on a completed and safe new tunnel to replace the Alaskan Way viaduct. How did you get started in that field? Like for many women engineers my age, my dad was an engineer. He and his projects inspired me. I enjoyed math and science classes, making engineering a natural fit. After graduating from the University of Washington in civil engineering (go Dawgs! ), I landed a job designing and building projects with a small steel fabricator. I loved seeing a project from beginning to end and came to WSDOT for that reason. What’s a typical day like? I pick the three most important problems to solve that day, schedule time to complete them and get to work. The typical day includes meetings related to schedule, staff assignments and problem resolution, time spent researching and solving technical problems, and working with local partners. What other projects have you worked on? I started my WSDOT career on the I-90 project, including construction inspection on the I-90 tunnel. After completing my viaduct-replacement responsibilities, I will return to the Gateway Project (Highway 509). I have also been a project engineer on the I-5 HOV lanes and I-5 ramp meters (from downtown to Pierce County), the I-5 Active Traffic Management project, the Highway 167 HOT lane project, the Highway 161 widening (Federal Way to Edgewood) and for construction inspection on highways throughout King County. What surprises people about what you do? The large number of engineering disciplines required on a project the size and scope of the Highway 99 tunnel. This job requires a basic understanding of over 20 separate engineering disciplines. This is both challenging and fun. People are surprised that I work on a hydraulic issue in the morning, a ventilation issue at noon and discuss structural and electrical issues with the experts by the end of the day. What’s the best part of the job? Working with the greatest team in the state. And the variety — I get new challenges every day and am constantly learning new engineering practices. I may be overwhelmed, but I am never, ever, ever bored. Every day I work on making my community a better place to live — it doesn’t get any better than that.